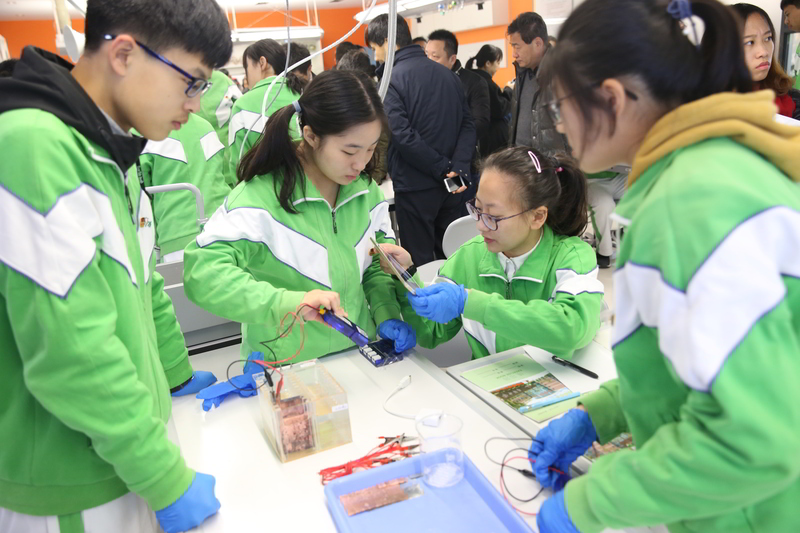 On the morning of December 8, 2018, the annual national digital experiment event – the 11th China High-Level Forum on Digital Experiment – was held in the newly completed comprehensive laboratory of Shanghai Fenghua High School. Nearly forty experts and scholars attended the forum. The forum started with a unique science integration class – Battery Research. In this open class, which includes physics, chemistry and biology, DIS digital experiment has become the dominant part. But unlike traditional digital experiments, there is no cables on the students’ experimental benches, with the exception of tablets and sensors. The scale production and normalized application of the latest achievements of the Shanghai R&D Center – llongwill® Mobile Digital Science Exploration System, which won the 2018 Worlddidac innovation product award, has begun. 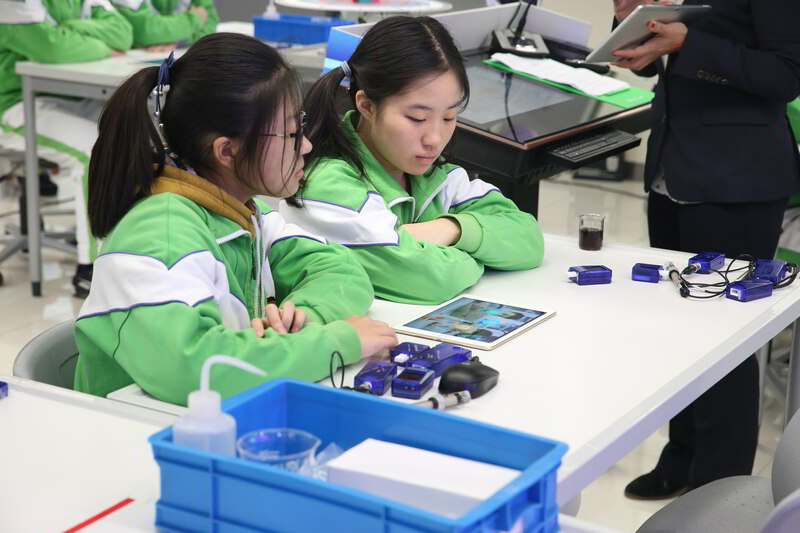 Teachers and students of Fenghua High School have also carried out a collective demonstration of the teaching application of llongwill® DIS “Magic Blocks”- super modules, magic circuits and block circuits. 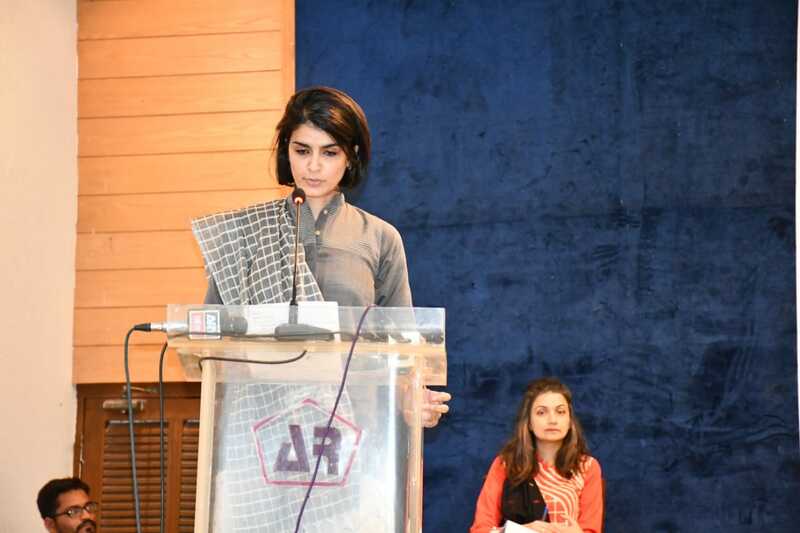 Through on-site interaction, experts and scholars attending the forum were deeply impressed by the above-mentioned changeable intelligent “Magic Blocks”. It turns out that digital experiments can be done in this way! 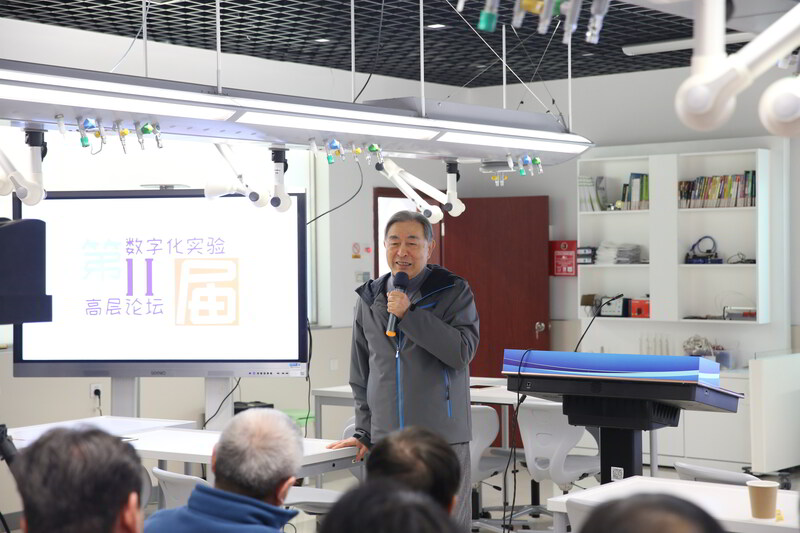 As the chief designer of the R&D centre, Mr Zhang Minsheng, the former director of Shanghai Education Commission and national supervisor, gave the opening speech. 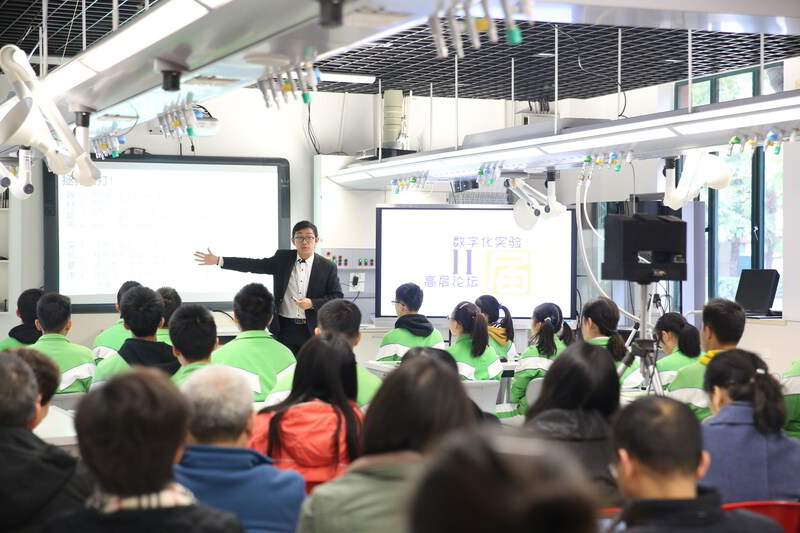 He highly praised the progress made by the R&D centre over the past year, under the leadership of Director Feng Rongshi, ta leader in the a Shanghai education community. He warmly congratulated the R&D centre and Yuanda-llongwill on attaining the Worlddidac award. He stressed that the R&D centre is currently at a key stage from 1.0 era to 2.0 era, and should continue to develop its advantages in mechanism and talents as this will ensure that the research achievements move into a higher level. 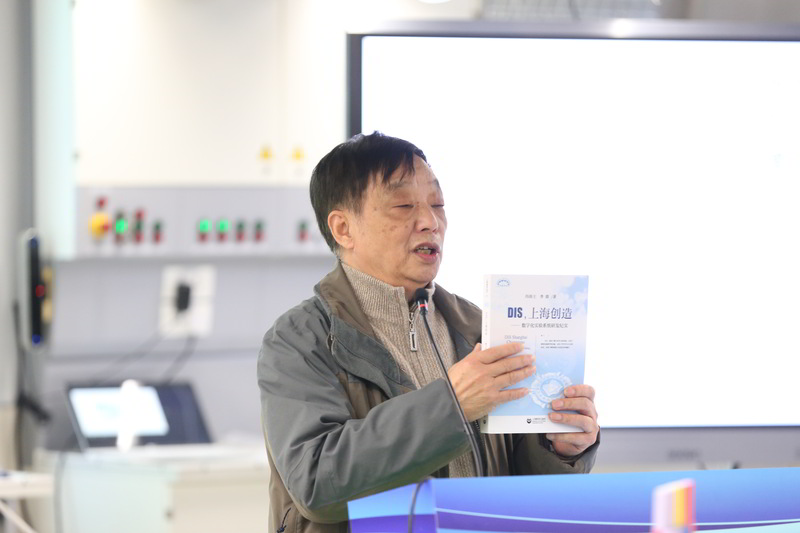 Following Mr Zhang’s speech, Director Feng Rongshi of the R&D centre presented another major achievement of the centre in 2018, the publication of DIS, Shanghai Creation. The book is co-authored by Director Feng Rongshi and Vice-Director Li Ding and will be promoted to the whole country by Shanghai Education Publishing House. 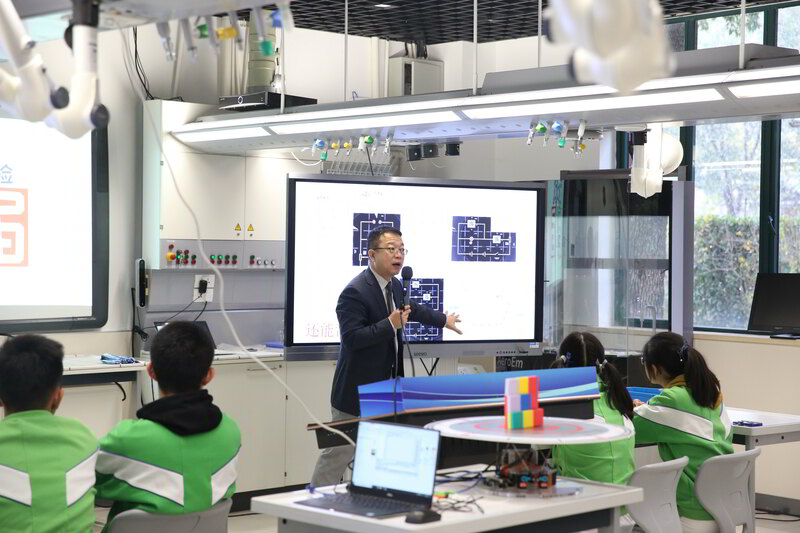 In the annual report entitled “Striving for the Realization of Shanghai Experiment Teaching 300 Programs”, Director Feng Rongshi disclosed the key research and development projects of DIS in 2019, including “DIS-Integrated Practice Support System for Science Teaching in Primary School” and “DIS-Integrated Solution for Digital Chemistry Experiment”, which has attracted the attention of experts and scholars. Xu Dianfang, Director of the Teaching and Research Department of Shanghai Education Commission, summarized the forum: fully affirmed the technological progress and teaching application achievements of the R&D centre and Yuanda-llongwill in 2018, and emphasized that the Worlddidac award that DIS won further enhanced our confidence. 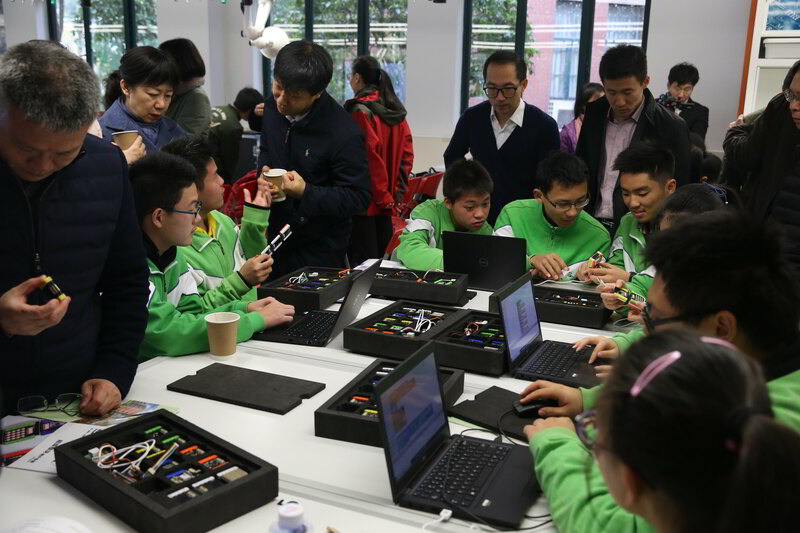 Director Xu, therefore, pointed out that llongwill® DIS is an outstanding achievement of Shanghai curriculum reform. It has played an important role in implementing student’s science literacy and modifying their learning style by entering into the textbooks and forming a powerful tool in experiment teaching. At present, the Teaching and Research Department has submitted a report on the corresponding specific credits for DIS experiment. 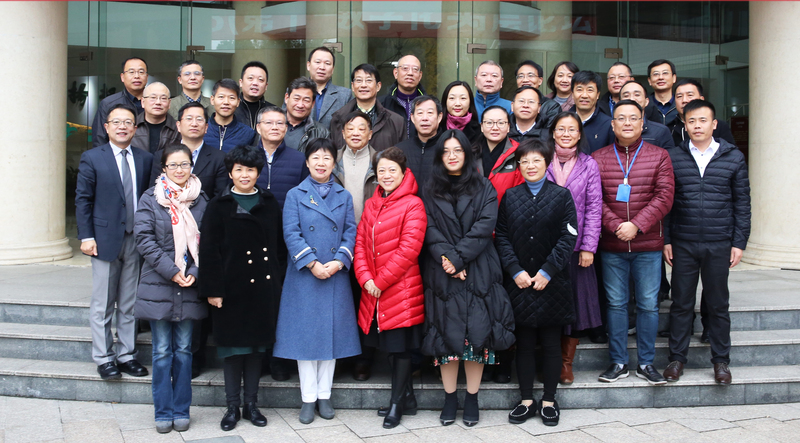 As an important part of the “300 Program” of Shanghai basic education experiment teaching (which requires students in Shanghai to complete 300 experiments in primary, middle and high school), llongwill® DIS experiment is bound to be strengthened. He also hoped that the R&D centre and Yuanda-llongwill could expand their efforts in home-school interaction in experimental teaching, and design more and better experiments to enable students and parents to operate and share together and to build a good bridge for the home-school interaction in the new era! Let’s look forward to 2019! 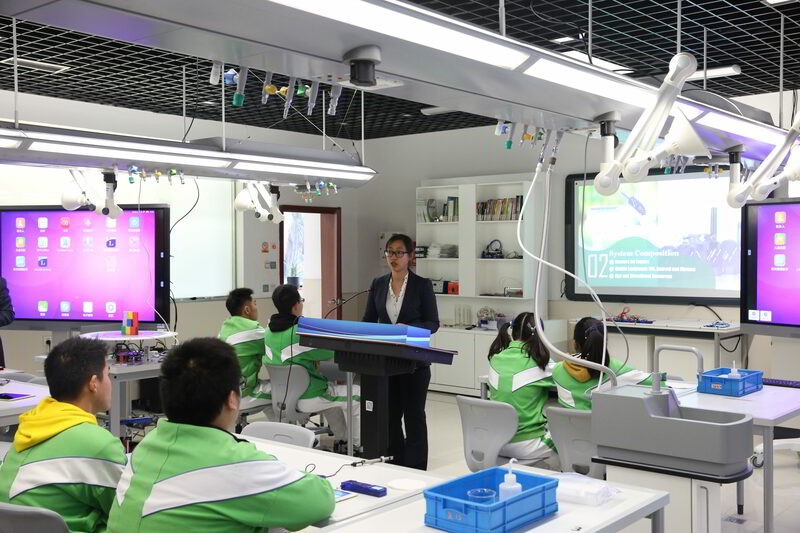 Shandong Yuanda-llongwill Educational Sci-tech LTD.